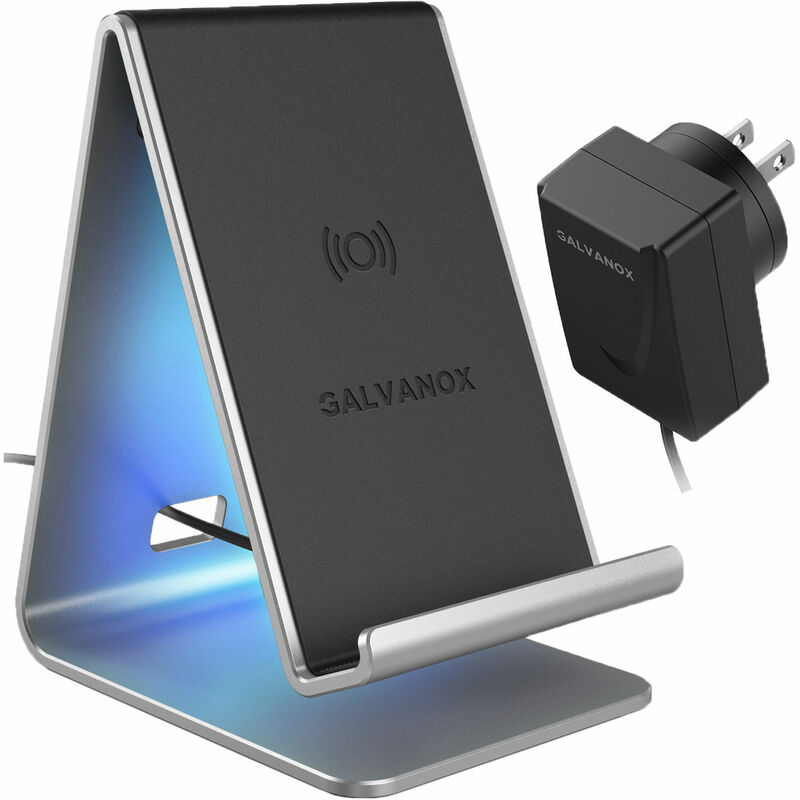 The Aluminum Wireless Qi Charging Dock from Galvanox is designed to ensure fast and safe charging for your Qi-enabled devices. With smart charging technology, this dock switches between 5W, 7.5W, or 10W of power to best suit your device being charged. Ideal for desktops and nightstands, this dock features a 3-way adjustable indicator brightness or night mode and nonslip grip points to keep your device and this dock in place. It also has redundant, built-in safety protections and charging interference alerts. Additionally, for your convenience, this charging dock includes a USB Type-C power adapter. Box Dimensions (LxWxH) 5.8 x 5.2 x 2.8"